It was a good mail day yesterday. I'm still waiting on All You and Family Circle to show up, but I know Mr. Postman will come through. These babies have a date with me tonight! I let my subscriptions to Parents, Family Fun, and Scrapbooks etc. lapse and treated myself to some new subscriptions after Christmas (for a steal). Southern Living, Martha Stewart Living, Family Circle, All You, and Good Housekeeping grace my mailbox these days. I'm looking forward to reading about ways to improve my home, creative entertaining, and recipes. Unfortunately, I have to carve out pockets of time to peruse, but I've found that going on an occasional coffee date alone at Panera helps considerably. I come home refreshed and full of ideas. I haven't subscribed to a magazine since I was a teenager. I should probably do so. I do enjoy getting caught up in recipes and fashion tips. Aaah...alone dates at Panera Bread...what bliss! I really need to do that again! What fun it is to sip coffee and read magazines! Hope you enjoy! I still subscribe to all the decorating mags. There's just something about keeping an actual inspiration file that you can touch, instead of virtual. My husband has tried to throw my mags away....he has averted death several times. Right now I am letting the magazines sadly all expire. The only one I am still getting is BHG.I dont' have time to read them all anymore due to school. I like to pick through them at the supermarket though. I love House Beautiful. Those issues look especially good. Enjoy your reading! Oooo...that means I should expect Martha in my mailbox soon. I picked up CottageLiving at the grocery store last night. It was a splurge but it was calling my name. I love getting magazines in the mail. Ahhh, a Me date sounds great! My sister & her hubs got Vince & I a subscription to Reader's Digest this year, it's one of my favs. Thanks for visiting my blog yesterday and commenting on my salmon recipe. I'm checking out your site now...looks great! It always seems to me that my favorite magazines go through a bad year when I subscribe. They just don't thrill me like they do when I buy them at the newstand. Is that the silliest thing!? The only three magazines I read cover to cover are Glamour, Southern Living and People (unfortunately I can't afford a subscription to People). I love them both so much! I'm like you - it is my ME time! House Beautiful, Traditional Home and BH&G. LOVE them. I squeal with joy whenever the newest issue arrives ! Well, I haven't rec'd my Feb Southern Living yet! I actually still need to catch up on my Jan issues, because when they all arrived before Christmas I set them aside for the new year, and then kind of got sidetracked. I get BHG, SL, Real Simple (not my fave, really), and recently resubbed to Country Living, but am still waiting for my first issue. My problem is I can't throw them away when I'm done with them! There is nothing like getting a magazine in the mail. It's like a little gift from the postman. Hope you enjoy devouring your mags!! I gave up all my subscriptions because I could never part with any of the magazines. Boy, can they pile up! I just reread the old ones. I'm thinking it is time to subscribe again! I haven't gotten my SL yet! I gotta go check my mailbox. I'm a big fan of reading magazines in the tub. I don't subscribe to any magazines but sometimes pick up one from the store if it looks interesting :) Hope you enjoyed your leisurely reading!!! Isn't it so exciting when a new magazine comes in the mail?? I subscribe to House Beautiful, Better Homes & Gardens, InStyle, and Bon Appetit (one of those was a gift and the others were $5 subscriptions on Amazon). I've tried, really I have, to let go of subscriptions because I get so many email subs. But I still get Food Network's 'zine, Quick n Easy Painting (of course), BHG, and a local one. Before Google, I spent hours ripping photos out of magazines, cataloging & filing images so I'd something to refer to when I'm painting. Thank the dear Lord for digital! Thanks for stopping by my food blog the other day, Amanda. Let me know how you like the blueberry pound cake! I haven't received SL for February. I hate that they are always so late sending the copy for the next month. Maybe today! I love amazon $5 sales. I got Southern Living for myself. If you don't get Family Fun you must! 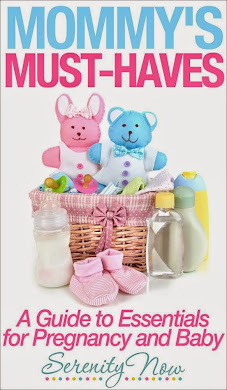 For a mommy it is a necessity! Let's see, I subscribe to Martha Stewart Living, The New Yorker and Interweave Knits. I love all of them and look forward to them each time they arrive. I'm considering adding Real Simple back into the mix. I love that magazine. But, boy, do I miss Blueprint. I'm thinking of starting a grassroots effort to see if we can convince MSLO to bring it back. Is that crazy? I got Martha today. I get Country Living & Parents. I let Family Fun lapse, but I want to renew it. Hubby gets This Old House. I think I need that Southern Living! ;) I love my BH&G and Family Fun... and then I randomly pick up ones I just can't live without as I see them. I love a date with my magazines and coffee! I like your blog! I am new... gleaning ideas from ya all! Have a lovely week.